Richard Elliot and Rick Braun have combined their talents and produced an awe inspiring CD titled, well, R&R. This CD is compelling for a few reasons, but most notably it is because it delivers a smooth groove that is still edgy enough to keep you on the edge of your seat. 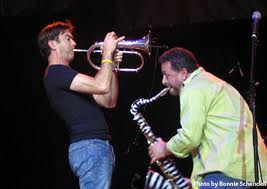 Richard Elliott is a gifted saxophone player and Rick Braun is an equally gifted trumpet player. (Ironically as I write this, their song “Sunday Night” is playing on SKYfm/smoothjazz24/7.) Sometimes when two musicians get together there is chemistry that cannot be easily explained, and the two of these guys click and play off one another effortlessly. It becomes a joy for both the musicians and the audience. This is the magic of R&R. Both these musicians have established themselves individually, and are worth exploring separately, but together they are a joy to listen to and watch. 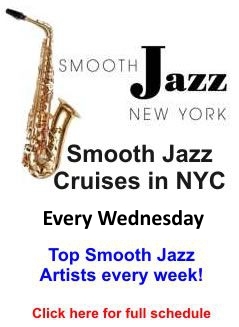 Rick Braun will soon be in NYC performing with Gerald Albright and Peter White on the NYC Smooth Jazz Cruise on July 20th. Below is a video of R&R performing last year on this very cruise. You can see the Manhattan lights twinkle in the background through the window. On another note, space is always at a premium in a place like New York City, but the upside of this is that going to see your favorite artists translates into an up-close-and-personal experience. As you can see from the video, it’s a bit like sitting in your living room with these guys performing on your coffee table. But back to R&R, I plan on covering Richard Elliott & Rick Braun individually in the future, however after listening to their CD recently, I couldn’t help but highlight them together first. 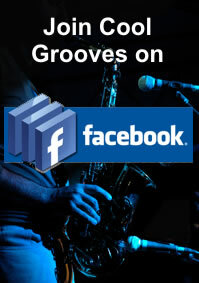 This entry was posted in Artists and tagged contemporary jazz, R&B, Richard Elliot, Rick Braun, smooth jazz. Bookmark the permalink.